Now that America’s Next Top Model is on hiatus, I have had to seek reality TV solace in Rockstar: Supernova. The premise is basically the same as every great reality TV show: three aging former rockstars (Tommy Lee from Motley Crue, Gilby Clarke from Guns ‘n Roses, and some other guy from Metallica) have formed a new band and are searching the globe for a talented lead singer to front the band. What started out for me as idle curiosity quickly turned into full blown devotion. Suddenly, I care about who gets kicked off each week, and find myself calling my friends during every commercial break to debrief. Dave Navarro _is_ hot, even if he’s short (but he’s not THAT short). You are not watching Project Runway?!? Criminal! It’s about the only reality TV (along with Top Chef) which doesn’t cause me to bash my head against the wall. Dave and Gilby are both cute and hey, I always thought Prince was, too – short or not….some men can pull that off. I have to admit, though, I do NOT consider him from “Guns n’ Roses” – yeah, yeah, he had a three year stint with them or something but he is not a true, original GNR member. Besides, I think he looks like……Yanni. You know, if Yanni were a rocker. There are times when he reminds me of a scraggly Drew Lachey. I’m really shocked how many people remember Gilby but not Jason Newsted from Metallica. When I saw the lineup for Supernova, I was certain Gilby would be the forgotten one. Everyone’s proving me wrong, though. Weird. Actually, “Jenny Svengoolie” is a pretty cool sounding name. In fact, you should have a name tag printed up and keep it in your purse for just such occasions. I would do that, too, but you probably won’t let me keep things in your purse. You’re mean like that. *Nom de plume is French for “the name of your plum,” because in WWII members of the French underground (or “metro”) often disguised themselves as vegetables. Even I have a crush on Gilby. Now THAT’S sayin’ somethin’…. I think it’s sad that I have no idea who Gilby is. I can’t watch the Supernova show because of my allergy to Tommy Lee. I break out in hives whenever I come within the sound of his voice. jg: See – that’s what I said! I think he’s maybe at least 5’7″. dave2: I think that’s on cable, isn’t it? Otherwise I’d be all over it! Mike: Y’know what? He really kind of does! Jess: OMG! Not Yanni!! My crush is now ruined! Carrington: You can keep fraudulent name tags in my purse anytime you want. As long as you’ll hold my purse for me while I run to the bathroom in the mall. Tobi: I know – he really is the star! Tommy Lee is just for shock value. Heather Anne: I need to get on the Janice Dickenson schedule, because they have cable at my gym and I saw it there once or twice. LOVE, LOVE her to death. I would totally snort coke with her. I can’t believe you didn’t mention the hotness that is Tommy Lee. the bright side of having friends who have completely different taste in men than you? you’ll never compete for the same guy. Oh my gosh! 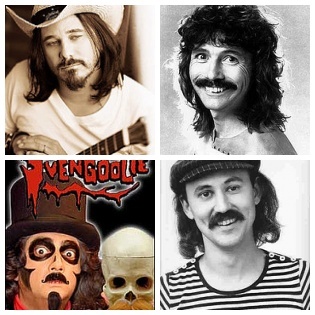 I hadn’t thought of Svengoolie for 20 years! I’ve never watched these reality shows of which you speak. Clearly, I need to watch more television. So there aren’t any girl rockers on that show? Gees. Viv: I know… I was trying to retain an ounce of street cred. But the reality is, I find his skinny tattooed body oddly appealing. Sizzle: I guess you’re right – I mean, who wants to have to compete with all her friends for Dave Navarro’s affections? Not me! Ariana: Yes, you do. And you do know that Son of Svengoolie is back on TV, don’t you? Bobby: Oh, but there are! Half the contestants are women, and I think a woman might win! I mean, there’s Dilana who is sooo awesome she should totally win, and then Storm Large who has a really good voice but sometimes does this crazy thing with her eyes, and then there’s this insane woman Zayra who wears slutty clothes and sings kind of like a poor man’s Bjork but she’s so crazy people keep voting her in and then there’s… oh. I’ve said too much, haven’t I? Sorry. Definitely Yanni-esque. And for the record, even the name “Yanni” is slightly sexier than the name “Gilby”. So there are girl contestants but there is no girl moderator/judge/Simon? This show is just a bundle of hotness. I definitely agree with you on the Gilby front. And I think Jason is hot too (even more so after his haircut). And Tommy…yeah, that wiry skinny tattooed body is kinda…well, yeah, okay: oddly gorgeous. Have you been reading Dave Navarro’s blog? What do you think about Toby? I so totally don’t think he’s going to win, and I don’t think he should (because Dilana should win), but I got a crush on Toby while watching him sing Burning Down the House (while wearing that suit!) and then my crush was cemented when he ran around the swimming pool (while not wearing a suit! ).